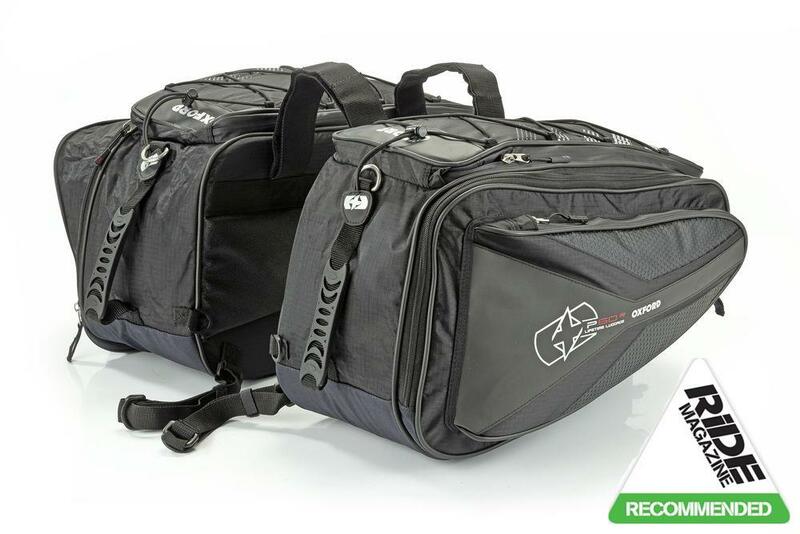 The most expensive set of panniers on test at £159.99, but also the most well specified. And the largest: despite a claimed capacity of 60 litres – less than several others here – the P60R is the only set that swallowed everything in our packing test. Despite their size, they’re straightforward to fit. There’s a dedicated underseat strap in addition to the two Velcro seat straps. Each pannier has three built-in, adjustable webbing straps to help mount it to the bike without bungee cords, and each of these has a neat Velcro tab to tidy away length of spare strap– impressive attention to detail. The P60R comes with internal drybags rather than rain covers, though the mediocre shower test result shows the importance of using them.